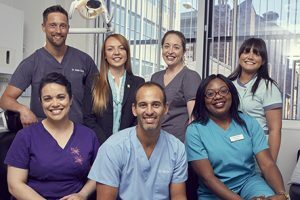 Dr Nyree Whitley, Group Clinical Director of mydentist, shares her views on workforce trends and why she believes the industry needs to come together to respond to the changing needs of dentists. “Over the last decade, the way dentists want to work and how they feel about the industry has changed and we have to change with it. According to the latest NHS Confidence Monitor Survey, 70 per cent of dentists don’t envision working in the NHS in five years and more than a quarter (27 per cent) plan to leave the profession altogether. And that’s a big problem when the country is facing the greatest shortage of dentists in years. “At mydentist, we’ve been thinking about this a lot and listening to clinicians to find out what else we can to do to support them. No one can solve this issue overnight but we can all do more to ensure clinicians have the right team around them, and the right materials and equipment to make their lives easier. And we can do more, to help clinicians build their careers, develop specialisms or special interests and find a better balance between their NHS and private work. According to a PWC report, Millennial’s at Work: Reshaping the Workforce, 33 percent of Millennial’s (those typically born between 1980 and 2000) expect to work mainly flexible hours. Only a quarter expect to work regular hours. In dentistry, we have definitely seen more clinicians looking for flexibility and a better worklife balance but this isn’t just among millennial’s. Dentists of all ages are subject to significant stress, particularly around litigation, regulation and fearing having too little time to treat patients well. Combine that with mounting pressure, commissioning headaches and increased patient demand and you have all the ingredients for stress, low morale and both physical and mental health issues. “I became a dentist because I love helping people. I think it’s really important the whole dental community comes together to raise up the profession and support those within it. I’m currently supporting a fantastic project called Confidential, a helpline launching in the coming months, backed up by a website for dentists who need help with any problem, whether it’s personal, professional, financial, legal or emotional. It has been set up for dentists, by dentists and I think it will make a huge difference. “We’re a team and that’s important. The BDA studied the industry and found dentists working in hospital environments are often happier than those working in practices and they stay in their roles longer. Why? Because they have a network supporting and encouraging them, much like how we operate at mydentist. Being a dentist is a great profession. We help change people’s lives but that shouldn’t be at the cost of our own mental and physical health or by neglecting the importance of a good work life balance. We should be working together as an industry to reduce the number of dentists feeling unfulfilled, over-worked and unappreciated.